Today I will Teach you How To improve your website search engine visibility, Submitting your blog to other sites helps in better indexing and crawling of the blog. This is an official tool by Google, where you can add your Website and submit your sitemap to Google, So that Google search Engine can easily Index your Blog. This is an Official Webmaster tool by Bing, submitting your blog will ensure your site will be visible in Bing. Alexa is one popular service for ranking websites around the globe. You should submit your site to Alexa, and also have to add Alexa widget to your Blog. Facebook is one of the main source of social media traffic. You are not submitting your blog to Facebook, but you are creating a Facebook page so that readers can connect to the page and can get all updates of your blog. So if FB users are interested in your topic then they will be visiting your Blog, so you will getting traffic. Creating Google plus page for your blog or Website will be good for traffic and branding. Twitter is a tool for micro-blogging. You must have profile on Twitter for your blog, which will help your readers to connect with your brand on Twitter, and follow your blog updates. 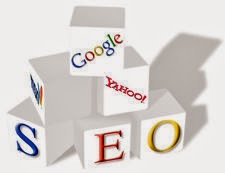 ahrefs will help you to keep a track of links to your site and also to measure your blog backlink. IMT Website Submitter is an online tool, which submits your Website to over 5000 places. So this will help you in quick indexing and improving backlink to your Blog.